I've been doing the "Just Sweat" workouts with my daughter in the mornings. It's been a key way to deepen our relationship with each other through fitness and faceless, animated mannequins grooving to pop songs. 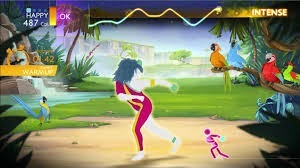 If you're unfamiliar, Just Sweat is the workout portion of the Just Dance game we have for our Xbox Kinect. You get to dance and get physical against trippy backgrounds. 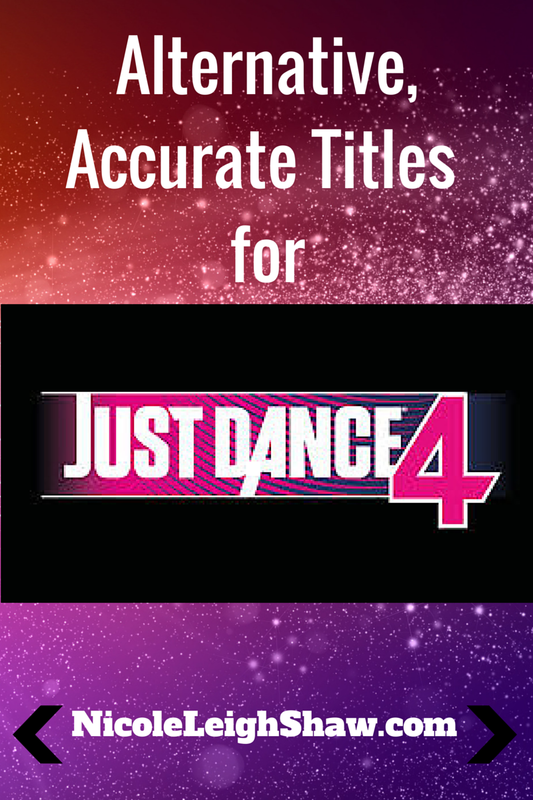 In contrast to the game portion of Just Dance where one mimics dance routines set to pop music, Just Sweat has one mimic important fitness moves like: not knowing what to do with your left leg and pantomiming being on fire. At least during the workout parts, you don't get a playback like in the dance segments. That's right, the game is recording you on video. You can watch a replay of your moves that makes you feel like your entire life is a lie. I've been enjoying these daily mommy–daughter sweats for nearly two weeks. Two weeks. I assumed I'd get better at anticipating the game's moves by now. This morning was no different—I struggled to remember to glance down at the prompts that show which move is on deck. I almost tripped. People farted. The steps aren’t getting more familiar, but the failure is. It's been like coming home if home were a place where you were always wrong and everyone had nicer, shinier spandex. Every day I'm transported to the early 90s when supermodel Cindy Crawford and kickboxer-ish Billy Blanks were on my screen, leading me to, if not better fitness, then a sprain, or maybe heart palpitations. In the 90s, I was always a step behind and a grapevine too late. Rock Lobster. Mutant claw hands optional. 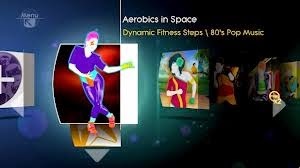 Aerobics in Space: If I'm weightless, do I really need to exercise any more? 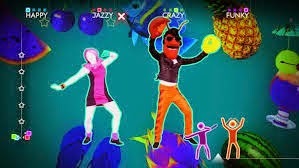 I'd quit you, Just Dance. I would. But your white-skinned, eyeless avatars and the trippy workout settings have got a hold on me. I'm not a dancer today, and I'm not likely to be one tomorrow, but maybe someday I will nail the moves to "Beauty and a Beat." It could happen. I did eventually conquer the master-level step aerobics move: the cha-cha turn. So, until my inevitable groin pull, let's agree to Just Don't Give-Up on Me.